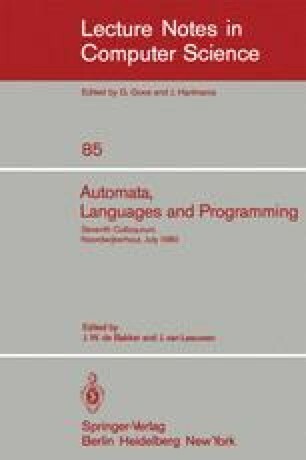 A symmetric Turing machine is one whose "yields" relation between configurations is symmetric. The space complexity classes for such machines are found to be intermediate between the corresponding deterministic and nondeterministic space complexity classes. Certain natural problems are shown to be complete for symmetric space complexity classes, and the relationship of symmetry to determinism and nondeterminism is investigated. Research supported by NSF Grant MCS76-09375-A01. Research supproted by NSF Grant MCS-77-01193.